Environmental campaign group Greenpeace is calling on the outdoor clothing industry to ban perfluorinated and polyfluorinated chemicals (PFCs) from production after tests found the toxins in a number of leading brands. Products from Jack Wolfskin, The North Face, Patagonia, Kaikkialla and Marmot were found to contain noticeable concentrations of toxic perfluorooctanoic acid (PFOA), Greenpeace Germany revealed today (29 October). Tests by two independent laboratories also found both the Mammut and Vaude jackets contained high concentrations of fluorotelomer alcohols, which can break down to into PFOA. 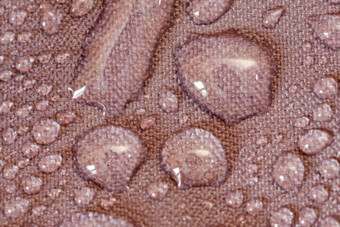 The outdoor brands products were tested for PFCs in the membranes, coatings and finishes. The test results for hormonally active nonylphenol ethoxylates (NPEs) and plasticisers (phthalates) are also described as "worrisome." The highest concentration of NPEs was found in a child's rain jacket from Seven Summits. The highest value for phthalates was found in a child's poncho from Northland. "The outdoor clothing industry advertises its products featuring images of pristine nature," says Manfred Santen, Greenpeace Germany expert. "But the reality is that the harmful substances used by this industry are now to be found in the environment and in the blood of humans all over the world." Greenpeace is now urging the outdoor clothing industry to ban PFCs from production and to speed the development of fluorine-free alternatives. The research results are outlined in a new Greenpeace report called "Chemistry for any weather." Its publication comes less than a week after UK clothing retailer Marks & Spencer (M&S) pledged to eliminate all hazardous chemicals from its entire textile and clothing supply chain by 2020. As part of its plans, M&S will phase out all PFCs by 1 July 2016, acknowledging that the entire chemical group - which is used in stain and water resistant clothing - is hazardous. German outdoor clothing brand Jack Wolfskin, and Swedish fashion retailer H&M Hennes & Mauritz, have also said they will ban PFCs and PFOA. Weatherproof alternatives include textiles made from polyester or polyurethane membranes. This clothing is also windproof, has breathability and can withstand a downpour. A wider 'Detox' campaign by Greenpeace last year prompted a number of leading apparel brands to invest in a toxic-free future - including M&S, H&M, Adidas, C&A, Li Ning, Nike and Puma.